on Wednesdays through Sundays. Post time for the first race each day is 1:05 p.m. ET. Katherine Ball’s Limousine Liberal, Keeneland’s track record holder at 6½ furlongs, and Robert LaPenta, Ron Moquett and Head of Plains Partners’ Whitmore, who emerged as one of the nation’s top sprinters this spring, headline a field of 11 entered Tuesday for Friday’s 165th running of the $250,000 Stoll Keenon Ogden Phoenix (G2) for 3-year-olds and up going 6 furlongs on the dirt. The Stoll Keenon Ogden Phoenix is a “Win and You’re In” race for the $1.5 million TwinSpires Breeders’ Cup Sprint (G1) to be run Nov. 4 at Del Mar. The race will go as the eighth on Friday’s 10-race opening-day card with a post time of 4:57 p.m. ET. First post time Friday is 1:05 p.m. Trained by Ben Colebrook, Limousine Liberal finished second, a nose behind A. P. Indian, in last year’s Stoll Keenon Ogden Phoenix. Winner of the Churchill Downs (G2) and Aristides (G3) this spring, Limousine Liberal enters Friday’s race off a third-place finish in the Alfred G. Vanderbilt (G1) on July 29 at Saratoga. Jose Ortiz has the mount on Limousine Liberal and will break from post position five. Trained by Moquett, Whitmore started 2017 with four consecutive victories, including two graded-stakes scores. Third in the Frank J. DeFrancis Memorial Dash (G3) in his most recent start on Sept. 16, Whitmore will be ridden by Manny Franco and break from post position 11. The field for the Stoll Keenon Ogden Phoenix, from the rail out with riders and weights, is: Awesome Banner (Jose Lezcano, 120 pounds), Threefiveindia (Javier Castellano, 120), Seventh Sense (TUR) (Julien Leparoux, 120), Loose On the Town (Luis Saez, 120), Limousine Liberal (Ortiz, 122), Richard the Great (Florent Geroux, 120), Favorite Tale (Paco Lopez, 120), Uncontested (Corey Lanerie, 118), Mr Manning (Brian Hernandez Jr., 120), It’s the Journey (Alex Cintron, 120) and Whitmore (Franco, 122). The horse in question is Terry Hamilton’s Heart to Heart, earner of more than $1.3 million and winner of nine graded stakes, but no Grade 1s. A winner of two Grade 2s and seven Grade 3s, Heart to Heart is scheduled to make a sixth try for a Grade 1 victory in Saturday’s $1 million Shadwell Turf Mile. In his most recent Keeneland appearance, this spring’s Maker’s 46 Mile (G1), Heart to Heart finished second by a neck to expected Shadwell Turf Mile rival American Patriot. Shake loose is what the son of English Channel did in his most recent race, a 1¼-length victory in the Bernard Baruch (G2) at Saratoga. Lynch hopes to get Fall Stars Weekend off to a good start Friday when he runs Susan and Jim Hill’s Loose On the Town in the $250,000 Stoll Keenon Ogden Phoenix (G2) going 6 furlongs on the main track. When Hawksmoor (IRE) made her first foray to Keeneland last year, she was a bit of an unknown commodity entering the Queen Elizabeth II Challenge Cup Presented by Lane’s End (G1). Then trained by Hugo Palmer, Hawksmoor had been holding her own with the top fillies in Europe and finished third in QE II, beaten only a head for all the money. Following the QE II, Hawksmoor finished sixth in the Mrs. Revere (G2) at Churchill Downs before getting an extended rest from racing. Hawksmoor finished seventh in the Beverly D. (G1) in her most recent start on Aug. 12. The following is a list of probable starters for Fall Stars Weekend stakes on Saturday and Sunday compiled by Keeneland Stakes Coordinator Allison DeLuca. $1,000,000 SHADWELL TURF MILE (G1) (Entries taken Wednesday; race Saturday) – American Patriot (Todd Pletcher), Applicator (Mikhail Yanakov), Ballagh Rocks (Bill Mott), Christian C (Wayne Catalano), Dimension (GB) (Conor Murphy), Divisidero (Buff Bradley), Flatlined (Scooter Dickey), Heart to Heart (Brian Lynch), Le Ken (ARG) (Ignacio Correas IV), Mondialiste (IRE) (David O’Meara), Offering Plan (Chad Brown), Suedois (FR) (O’Meara), Time Test (GB) (Brown) and Tyler U (Troy Wismer). $500,000 CLAIBORNE BREEDERS’ FUTURITY (G1) (Entries taken Wednesday; race Saturday) – Bourbon Resolution (Ian Wilkes), Bravazo (D. Wayne Lukas), Crea’s Bklyn Law (Michael Dilger), Free Drop Billy (Dale Romans), Givemeaminit (Dallas Stewart), Lone Rock (Will VanMeter), Lone Sailor (Tom Amoss), Ready Prospector (Oscar Modica), Ten City (Kenny McPeek) and The Tabulator (Larry Rivelli). Possible: Captivating Moon (Chris Block), Promises Fulfilled (Romans) and Rivington (Graham Motion). $250,000 THOROUGHBRED CLUB OF AMERICA (G2) (Entries taken Wednesday; race Saturday) – Bendable (Richard Mandella), Finley’sluckycharm (Bret Calhoun), Grace’s Treasure (Michael Ewing), I’m a Looker (Brad Cox), Ivy Bell (William Denzik), Moiety (Eoin Harty) and Vertical Oak (Steve Asmussen). Possible: Chalon (Peter Miller) and True Romance (Tim Hills). $400,000 FIRST LADY (G1) (Entries taken Wednesday; race Saturday) – Delectation (GB) (Andreas Wohler), Dickinson (Kiaran McLaughlin), Dona Bruja (ARG) (Ignacio Correas IV), Hawksmoor (IRE) (Arnaud Delacour), Miss Temple City (Graham Motion), One Liz (Wayne Catalano), Roca Rojo (IRE) (Chad Brown) and Zipessa (Mike Stidham). $200,000 WOODFORD PRESENTED BY KEENELAND SELECT (G2) (Entries taken Wednesday; race Saturday) – Big Rock (Christophe Clement), Commend (Bill Mott), Hogy (Mike Maker), Indy Hill (D. Wayne Lukas) and Mongolian Saturday (Enebish Ganbat). $500,000 JUDDMONTE SPINSTER (G1) (Entries taken Thursday; race Sunday) – Bar of Gold (John Kimmel), Blue Prize (ARG) (Ignacio Correas IV), Factory of Faith (Michael Ewing), Katalust (Anthony Rini), Martini Glass (Keith Nations), Mo d’Amour (Rodolphe Brisset), Romantic Vision (Rusty Arnold) and Tiger Moth (Brad Cox). $250,000 DIXIANA BOURBON (G3) (Entries taken Thursday; race Sunday) – Admiralty Pier (Barbara Minshall), Arawak (Wesley Ward), Budro Talking (Danny Pish), Flameaway (Mark Casse), Fred’stwirlincandy (Lon Wiggins), High Providence (Jason Meaux), John Tippmann (Kenny McPeek), Machtree (Casse), Tap Daddy (Steve Asmussen), Tigers Rule (Vickie Foley), Trenton Traveler (Mary Lightner) and Wicked Trick (Ray Handal). Possible: The X (Ben Colebrook) and Way Early (George Weaver). Stonestreet Stables’ European champion and two-time Group 1 winner Lady Aurelia, prepping for a start in the $1 million Breeders’ Cup Turf Sprint (G1) Nov. 4 at Del Mar, worked 5 furlongs in 1:02 over a firm Keeneland turf course Tuesday morning. Based at Keeneland with trainer Wesley Ward, Lady Aurelia worked in company with Buffalo Trace Franklin County (G3) nominee Childhood (1:02). Other horses nominated for upcoming grass stakes working on the turf Tuesday morning were Trenton Traveler (4 furlongs in :51.40 for the Dixiana Bourbon-G3), Sunny Skies (4 furlongs in :49.80 for the JPMorgan Chase Jessamine-G3), Nobody’s Fault (4 furlongs in 1:49.80 for the Buffalo Trace Franklin County) and Ultima D (1:03.60) and Fairyland (1:03.60) in company going 5 furlongs (JPMorgan Chase Jessamine). A partial list of speakers and additional information regarding the public celebration of Helen “Penny” Chenery’s life have been announced. The service will be held Monday, Oct. 9, at 1:30 p.m. ET at the Keeneland Sales Pavilion with a live video stream available at Keeneland.com and Secretariat.com. The service is open to the public. Doors will open at 12:30 p.m. The program will highlight Mrs. Chenery’s illustrious life and her many contributions to the sport of Thoroughbred racing. Scheduled speakers include her daughter Kate Tweedy, son John Tweedy, racing analyst Donna Brothers, Meadow Stable exercise rider Charlie Davis, retired jockey Pat Day, Seattle Slew’s owner Sally Hill, Claiborne Farm’s Dell Hancock, sportscaster Kenny Rice as well as other friends and racing luminaries. Mrs. Chenery oversaw her father’s Meadow Stable and the racing careers of both Riva Ridge, winner of the 1972 Blue Grass at Keeneland as well as the Kentucky Derby and Belmont Stakes, and 1973 Triple Crown winner Secretariat. A beloved figure in Thoroughbred racing, she was a champion of horses and women in business and sports. She died Sept.16 at her Colorado home. She was 95. In lieu of flowers, the Secretariat Foundation has created a special Penny Chenery Memorial fundraising project on behalf of the Grayson Jockey Club Research Foundation, the Permanently Disabled Jockeys Fund, and the Thoroughbred Retirement Foundation. For details, visit Secretariat.com. Note to media representatives: Workspace in the Keeneland Sales Pavilion will be available to media covering the service. 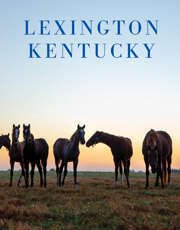 Please contact Director of Communications Amy Gregory at agregory@keeneland.com or 859 361-3490 for more information. Horses that competed at Keeneland during their racing careers are among the entrants for the $100,000 Thoroughbred Makeover and National Symposium Presented by Thoroughbred Charities of America on Thursday-Sunday at the Kentucky Horse Park in Lexington. The competition features former racehorses in barrel racing, competitive trails, dressage, freestyle, polo, jumping and working ranch. Participants with strong ties to Keeneland include Aripeka, Cary Street and Geothermal. Aripeka, a 6-year-old gelding by Bernstein, is a multiple graded stakes-placed winner who made two notable starts at Keeneland for locally based trainers. He earned his first career win here in 2013 when trained by Sally Schu and was runner-up to Jack Milton in the 2015 Maker’s Mark Mile (G1) for Eddie Kenneally. Aripeka will compete in dressage and jumping. Cary Street, slated for the competitive trail division, won the 2014 Las Vegas Marathon (G2) on the undercard of the Breeders’ Cup World Championships at Santa Anita for Keeneland regular Brendan Walsh. The 8-year-old gelding by Smarty Jones made two starts at Keeneland, including the 2015 Dixiana Elkhorn (G2). Stakes winner Geothermal closed his 30-race career at Keeneland one year ago. The now 8-year-old gelding by Unbridled Energy competed in five other Keeneland races, including the 2015 Hagyard Fayette (G2). Geothermal will display his jumping skills at the Thoroughbred Makeover. This year’s Thoroughbred Makeover involves more than 400 professional and amateur riders working with Thoroughbred ex-racehorses that have received less than 10 months of retraining. Participants will vie for the title of America’s Most Wanted Thoroughbred. The event features more than 80 vendors, horsemanship demonstrations and Thoroughbreds for sale. For more information, visit retiredracehorseproject.org. Sunrise Trackside. Keeneland shares a special side of Thoroughbred racing that is worth getting up early to enjoy. Sponsored by LEX18, Sunrise Trackside is a free, family-friendly event with activities for all ages: Breakfast With the Works features breakfast for purchase and trackside commentary (7-8:30 a.m.) while Thoroughbreds train on the main track; children’s activities in the Kids Club Corner (7-9 a.m.); Keeneland tours (7:30-10 a.m.); Paddock demonstration with ponies from the Kentucky Horse Park (9 a.m.); trackside handicapping seminar with Paddock Host Katie Gensler (11 a.m.); and Q&A session with a jockey in the Paddock (12:05 p.m.). Belmont-Keeneland Pick Four. Wager on premier stakes from Belmont and Keeneland, including the Shadwell Turf Mile, Claiborne Breeders’ Futurity and Jockey Club Gold Cup (G1).